Welcome to NowAllAboutYou.com - Your source for specialty mastectomy products! Jean was diagnosed with breast cancer in 1997. She founded All About You in 2007, after experiencing 10 years of feeling the need for greater personal service, and a wider variety of lingerie products that help women feel feminine and self confident again. Appointments preferred, but not necessary. Tuesdays, Saturdays, and Evenings by appointment only. Please remember to bring your prescription and insurance card! 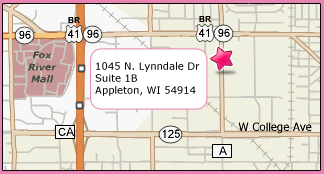 We are located off of Lynndale Drive within an office complex. © Copyright 2007-2010 All About You. All rights reserved.